The Datai re-opened on 29Sept 2018, following an extensive refurbishment. 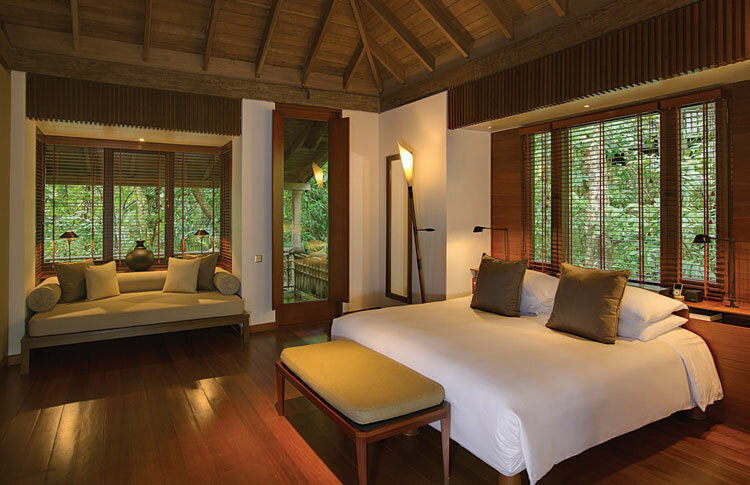 This stunning hotel is set on a hillside amidst the rainforest above a quiet cove on the north Western tip of Langkawi. Architecturally it blends seamlessly into its environment as the hotel disappears behind you into the rainforest as you walk down the pathways to the Spa and beach. The food, guestrooms, facilities and staff are all really superb, as you would expect from a member of the Leading Hotels of the World. Please note that a tax of MYR15 (approx £2.50) per room per night will be payable locally upon check-out.